Winter stretches on for months in many areas of the country, and a touch of color is very appreciated when spring finally arrives. 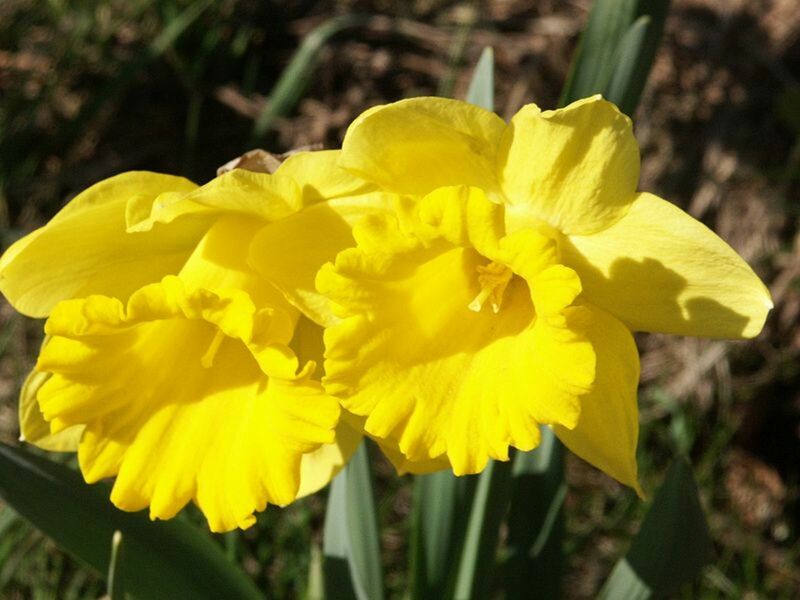 Which bulbs provide the first spot of color in the spring? There are many options for cold-weather areas: the bulbs listed in this article are all hardy and bloom in March or early April in zone 4 and zone 5 garden areas. Many of these flowers will bloom in the snow, and provide a bright spot of color against the wintry landscape. Like all spring-blooming bulbs, these bulbs must be planted in the fall. Plant small bulbs (like crocuses and snowdrops) at the front of a flower garden, in large clusters. Early blooming daffodils can be planted under daylilies, which will hide the yellowing leaves once the flowers are done blooming. Some bulbs will naturalize and can create a beautiful ground cover - grape hyacinths naturalize well and will carpet the ground in a haze of purple in early spring. The Iris Reticulata (also known as "Netted Iris" and "Dwarf Iris") blooms very early in the spring or in late winter. In a zone 5 garden, it will bloom as early as mid-March, and will persist through snowy conditions. These flowers are very small - from 3" to 6" in height. The flowers are deer resistant, cold hardy, and are extremely low maintenance. Plant the bulbs 3-4" deep in clusters, spacing each bulb 3-4" apart. These bulbs do best in areas with dry summers, as dry, warm soil is required for the bulbs to set bloom the following year. Once blooming is complete, the strap-like leaves grow to about 15" in length. These leaves will disappear as the plant goes dormant, usually by early summer. These flowers are excellent in a rock garden, near ponds, and clustered along a path. Individual flowers may be unnoticed, but the flowers pack a punch of color when planted in large groups. 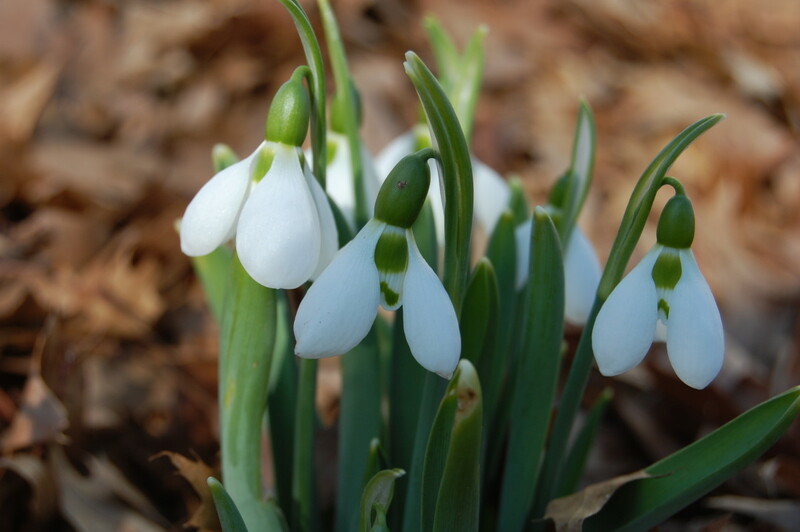 Galanthus, or snowdrops, are a well-known sight in very early spring. Sometimes, gardeners will have to dig through the snow to find them! These flowers bloom in very early spring or in late winter, usually before late March. These diminutive white flowers look best when the bulbs are clustered together. These bulbs are fantastic for planting in a lawn - when the snow melts, the patches of delicate snowdrops are a sure sign that spring is on the way. Snowdrops will naturalize in a garden and are very low maintenance flowers. These flowers are 4-6" in height and the bulbs must be planted approximately 3" deep. Like the Iris Reticulata, they are excellent flowers for planting in rock gardens, and along paths, streams, and ponds. Crocuses generally bloom in late March or early April, depending on the gardening zone. These flowers come in gorgeous shades of purple, blue, pink, orange, yellow, and white. Planted under a lawn, these flowers will provide bright spots of color as spring arrives. These flowers also naturalize well and do well in rock gardens and along paths. Crocus bulbs must be planted 3-4" deep in the fall. The spring flowers are approximately 3" tall, with a wide goblet shape. 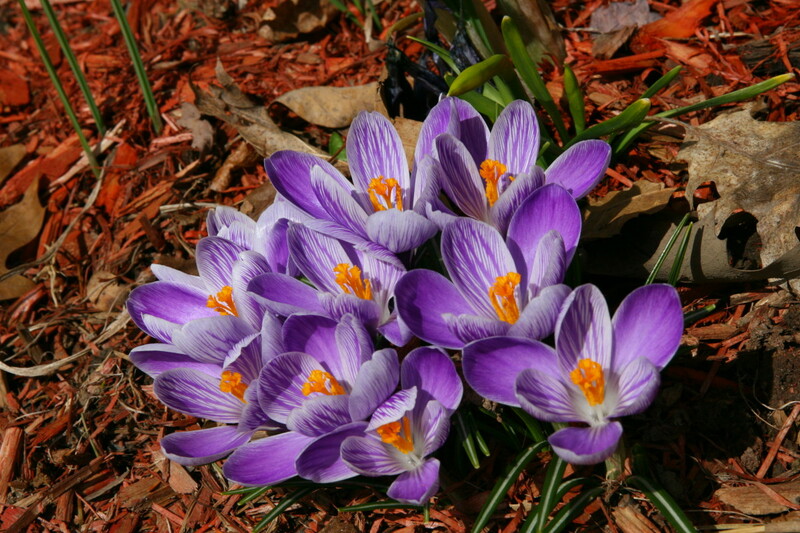 Crocuses will naturalize and return year after year in a garden landscape. Plant early blooming daffodils behind purple crocus for a beautiful contrast in color along a garden border. Squirrels, mice, and voles like to eat crocus bulbs. If these pests continually destroy the flowers, consider planting the crocus bulbs in small wire cages. Another miniature flower that pokes through the snow is Snow Glories, or Glory of the Snow. The flower stems are only 6" high, but each stem boasts 8-10 flowers. The flowers are 1" across - purple and pink varieties are on the market. 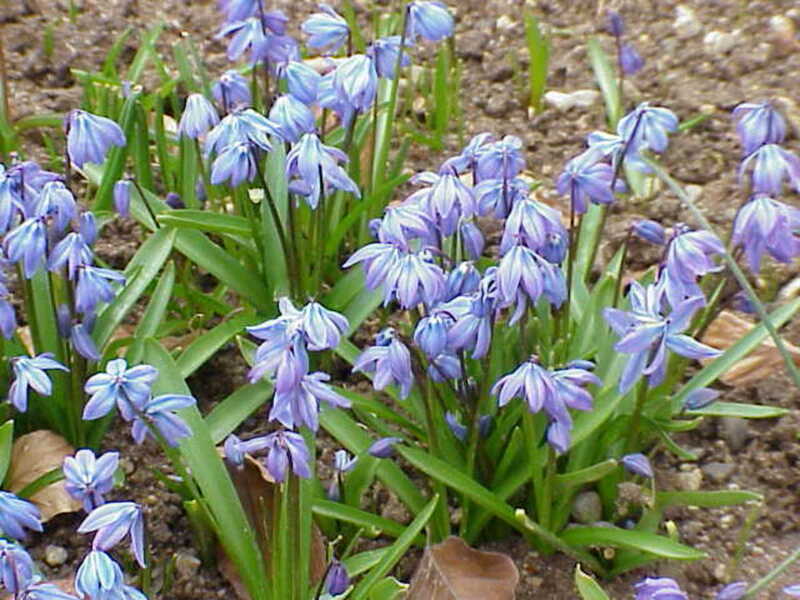 This flower is very closely related to Scilla (Blue Siberian Squills). 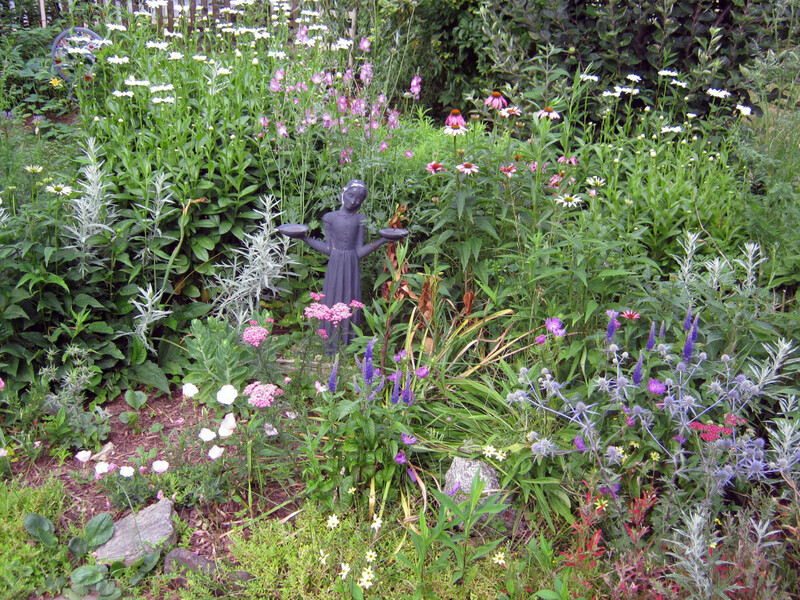 Plant these flowers in clusters in rock gardens, along paths, or under a lawn. These flowers look very pretty when grouped with other early-blooming spring bulbs. The blue-purple flowers are striking when mixed in with daffodils. Plant bulbs 3" deep and 2-3" apart. The bulbs will naturalize and increase in number each year. These plants do not like to have wet feet: well-drained soil is essential for their success. If water pools in the planting site after a rain, consider amending the soil with loam to increase drainage. Dainty, bell-shaped blooms are the hallmark of the Spring Snowflake flower. These flowers are slightly taller than the previously mentioned bulbs: the flowers are 6-12" tall and are beautiful in a spring border. These flowers are deer resistant, and all parts of the plant are poisonous. They are fragrant and make a pretty early spring bouquet. These bulbs are hardy and very low maintenance - this is one of the easiest garden plants to grow! The only requirement for these flowers is well-drained soil, as the plants will not tolerate standing water. The leaves will turn yellow and go dormant by mid-summer. Do not cut off the leaves until they have turned yellow, as the leaves provide energy for the bulb to produce next year's flowers. Neon yellow, cup shaped flowers adorn winter aconite. This flower is deer resistant, blooms in late winter or early spring, and has a collar of dark green leaves under each flower. These flowers are only 3-6" high and look best when planted en masse. 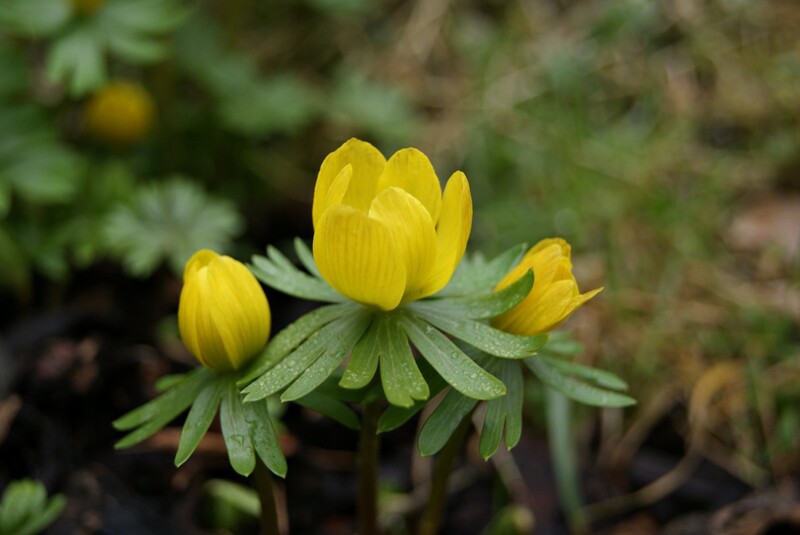 Unlike other spring bulbs, winter aconite prefers to have moisture throughout the summer and does not mind wet soil. Prior to planting the bulbs in the fall, soak the bulbs overnight. These flowers will spread in the garden, usually by setting seed. The plants go completely dormant by late spring. Plant the tubers 2-3" deep and 3" apart. Once the plants have become established, do not disturb them. These flowers will naturalize and provide color for years on end in the right growing conditions. Daffodils range in size according to the variety. Plant daffodil bulbs 6" deep and 3-4" apart. Miniature daffodils tend to be the first to bloom: Tete a Tete stands a mere 6" high with brilliant yellow flowers. 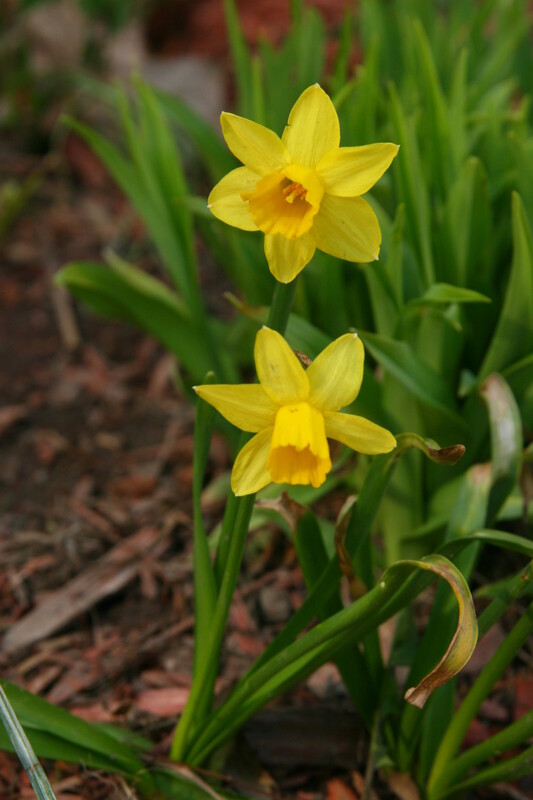 Like all daffodils, the early bloomers are deer resistant and will re-bloom year after year with almost no maintenance required. 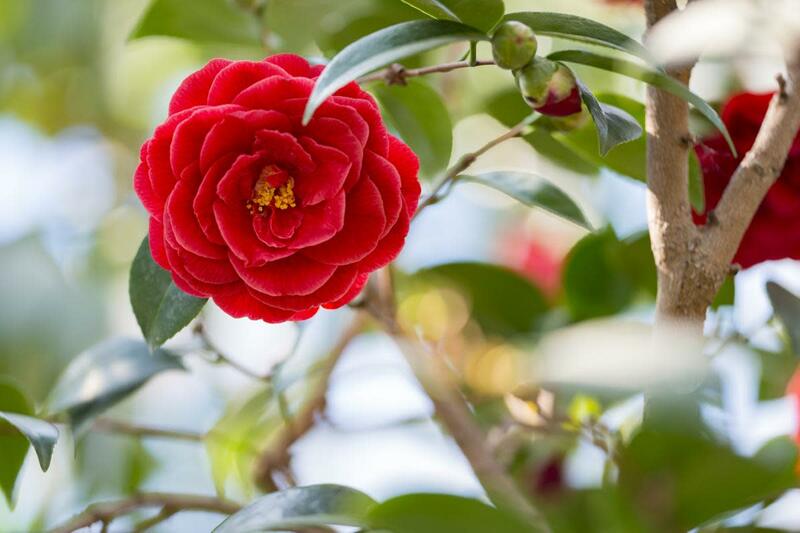 The flowers and leaves will go dormant by summer - do not cut the leaves from the plant until they have yellowed. The green leaves provide nutrition for the bulb and will allow it to bloom again the following year. As indicated by the name, this flower has gorgeous blue blooms. The plants stand 5'8" tall and is one of the best bulbs for naturalizing in a garden. Native to Russia, Asia, and Europe, it is incredibly hardy. Some varieties are also fragrant. 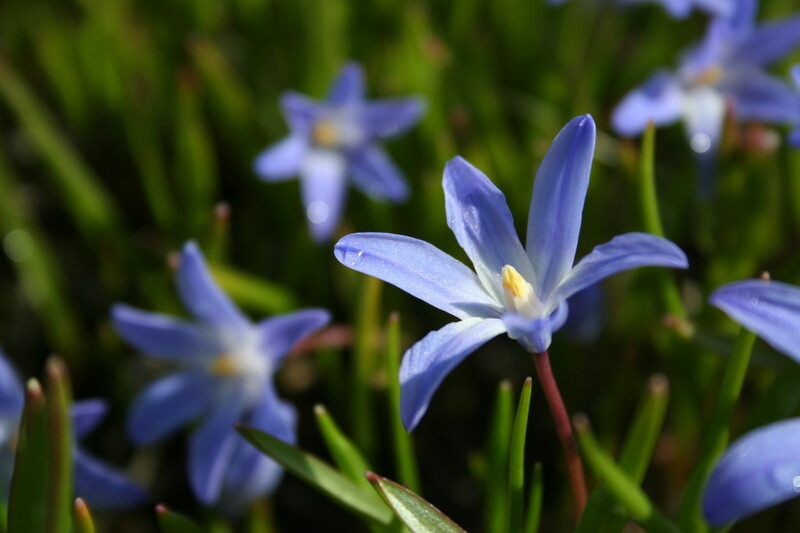 Plant Scilla bulbs 4" deep and 3-4" apart. These flowers prefer partial shade, and look beautiful when planted under trees and shrubs. They also do well in rock gardens and along streams and paths. These flowers are members of the lily family and is resistant to voles, mice, deer, and squirrels. The plant goes completely dormant by mid-summer. 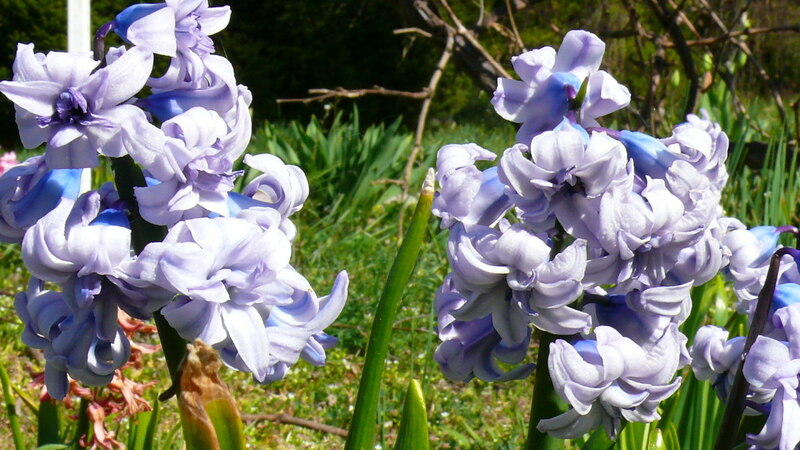 The incredibly strong perfume of hyacinths makes them a favorite of gardeners world-wide. Hyacinths come in nearly every color of the rainbow and bloom alongside daffodils in early spring. The plants stand 8-12" high, and produce 60-70 florets per stalk. 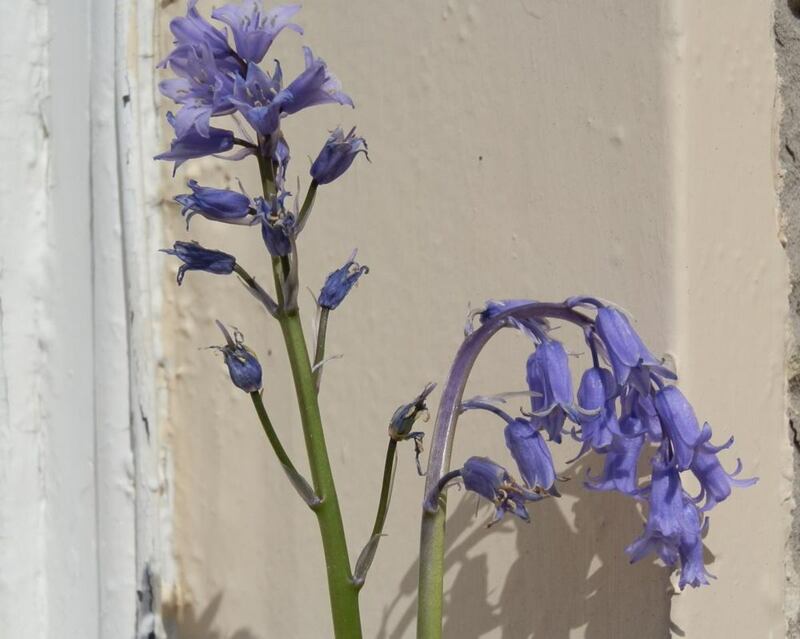 Some hyacinths produce so many florets that the plant flops over! Plant hyacinth bulbs 6-8" deep and approximately 4-6" apart. As with all spring bulbs, do not cut the foliage back until it has yellowed, to provide adequate nutrition for the bulb. Hyacinths tend to get smaller over time, and many gardeners will plant new hyacinth bulbs every year or two to ensure vigorous blooms. 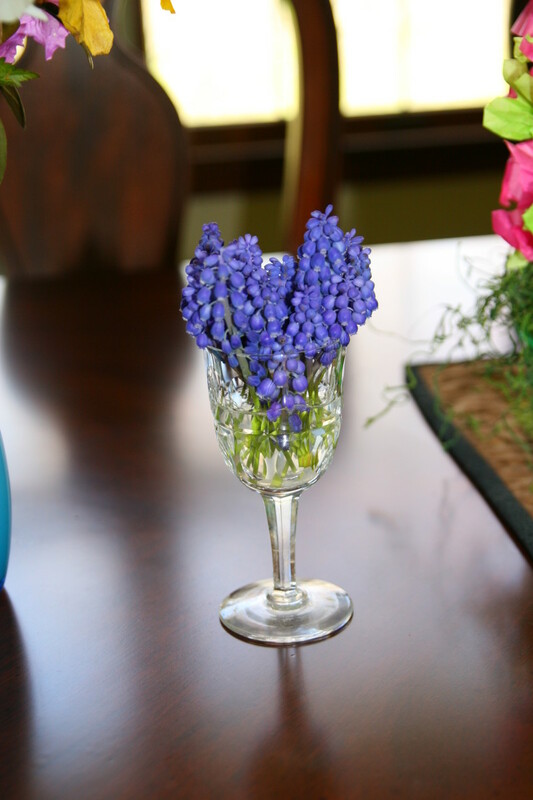 Grape hyacinths, or Muscari, are native to the Mediterranean, Europe, and Asia. The tiny flowers only stand 6-8" high, but will quickly spread and naturalize to form a carpet of color. The leaves are grass-like and will persist after the flowers have faded. 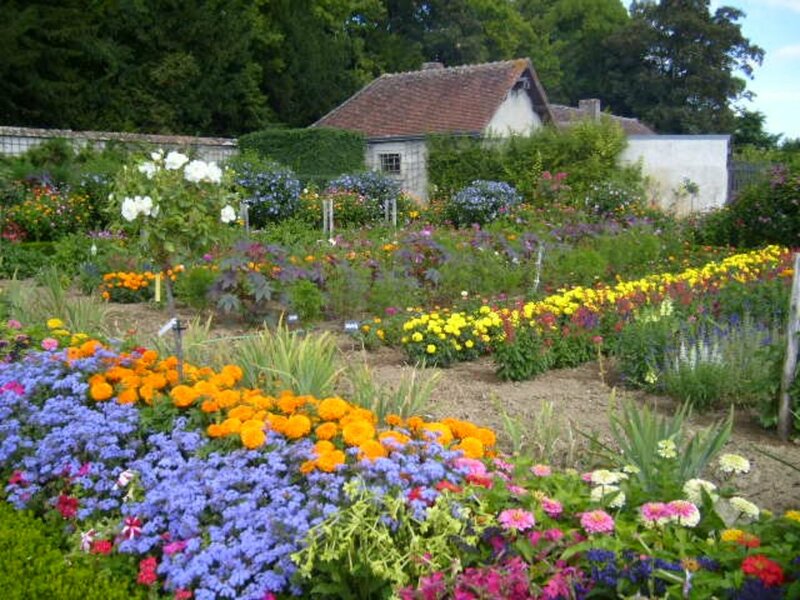 The only negative of these flowers is the fact that they spread a little too easily - do not plant them in a tidy garden bed, as they will spread and take over every empty space in the garden. They are beautiful when planted under shrubs and trees, as they provide a patch of bright purple color. 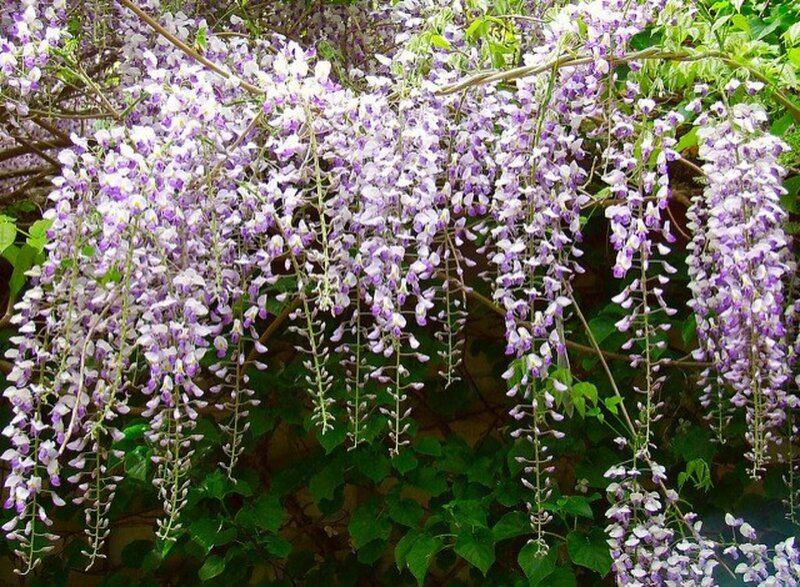 These flowers arrive in early to mid-spring, and are intensely fragrant. Plant grape hyacinth bulbs 3-4" deep and 3" apart. The plants flower best when placed in full sun, and require well-drained soil. I am always so happy to see those flowers pop up, Rob! This winter seems to be dragging on forever. I have crocus planted in our lawn and the yellow ones have bloomed. It is snowing again this morning, and I hope we see more flowers soon. I am in Olean frequently as my boys are in scouts and there are several events in that area. Spring will be warmly welcomed once it arrives! I absolutely love seeing those first flowers in late winter/early spring, Alex! We currently still have a solid 6" of snow on the ground, with another 4-8" predicted for this weekend. I may have to dig my crocus out to see them! I absolutely love nature and spring is such a beautiful season. I have the yellow "Early Blooming Daffodil" flowers in my front yard. They first bloomed in late February/early March. Very impressive to see, especially for my 6 year old daughter, she loves flowers. Flowers have a spaciousness, stillness, and silence to them that help to stop the thinking mind. It is odd how humans consider themselves superior to the natural world, trees, flowers, the whole earth exists without creating problems. We are grateful winter is over for the moment, though our summer has been extremely wet and cool this year. We hope it will dry out in August! I've heard about that. My cousin avoided on getting a job in Buffalo, since she lives in Middletown, NY. Those winters are brutal, too! We live about 90 minutes from Buffalo, in a more rural area. I do have to say, the winters are very long here! My pleasure Leah. You poor thing! Don't tell me you live in Buffalo! I love flowers! Thank you, Kristen! Our winters are very long in Western NY, and I always look forward to flowers peeking out of the ground! Lovely photos, Leah. 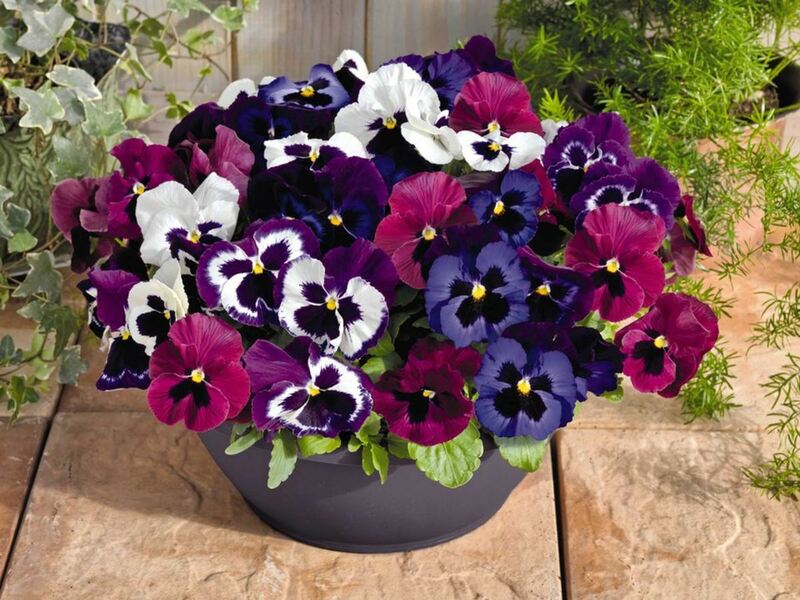 Very vivid and visual to match the descriptions and tips on how to plant these flowers. Voted up for beautiful! I am so grateful our daffodils are up (finally) in Western NY. It is April 22 and snowing this evening, so any and all color in early spring is appreciated! Are any of your flowers blooming, Kristen? Great hub for spring flowers to see any spring season. Lovely photos and information on the flowers. Voted up! I really can't wait to see them this year, lindacee. We have seen our dwarf iris pop up, but they were soon buried by the snow. I can't wait until the snow is completely gone and we get some color! Oh, Sid - please send some of that warm weather this way! It is 22 degrees Fahrenheit (the high) and we have gotten over a foot of snow on March 21! I hope our snow will begin to melt in a few weeks - the long term forecast is filled with freezing weather. Enjoy that Florida sunshine! Thank you for these beautiful reminders of Spring. Down here in Florida, I miss the melting of snow. For me, these are wonderful reminders of childhood. Thanks, agusfanani. Spring is so beautiful when all the flowers bloom. I can't wait for it to truly arrive in our neck of the woods! Oh, teaches12345, I can't wait to see some snowdrops. We just received another foot of snow and it is the first day of spring! I might be able to find some if I shovel off the front lawn. I am so ready for spring! They are beautiful, especially when naturalized in a lawn. Very beautiful hub. Those flowers really decorate spring atmosphere . I love a field of snowdrops. 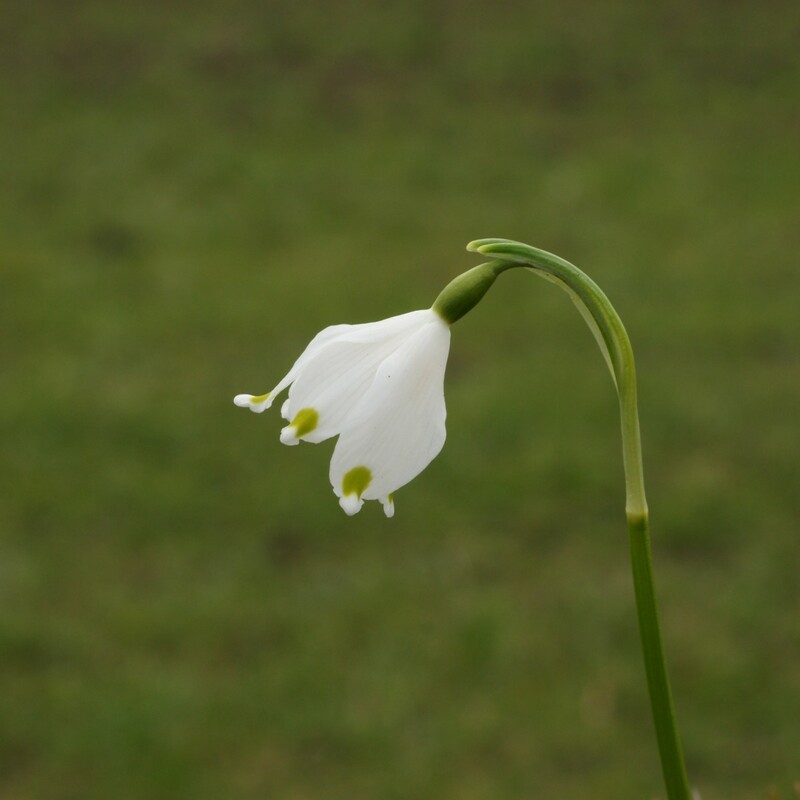 Such a simple flower, but so beautifully tells us Spring is near. Thanks for the education and the photo examples. Oh, I would be so excited to see crocuses in December. I think I need to move to Kentucky, Rod! Our crocuses came up early last year (as it was a very warm winter), but they are taking their time this year. We have snow and below-freezing temperatures on March 16 (and for the foreseeable future) - I truly can't wait for spring to arrive! Jill, I can't wait for or crocuses to bloom. Sometimes I wish I lived in zone 7, just to see color a little earlier in the year! We don't have winter aconite in our yard, either, but I want to add it. I love the bright spots of yellow in the yard. We're making a new garden bed and I'm planning it at the moment - it gets me through the winter! My crocuses started coming up in December. They're coming up earlier every year. Nice hub, thanks for sharing. I love hyacinths! They are so sweet, and a very welcome sight in spring. We are getting pounded by snow at the moment, and my little crocuses are waiting to make their debut. I can't wait to see some color! Thanks for your comment, ThelmaC! Love the hub and your pictures are beautiful. You can almost smell the hyacinths! Thanks, Carol! 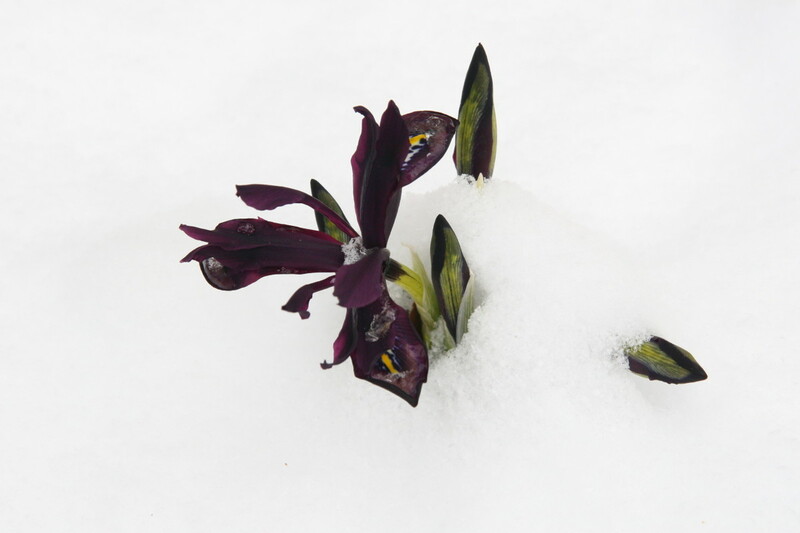 I took the picture of the Iris Reticulata today - it is blooming through the snow (on March 14). I feel so very sorry for it - but it doesn't seem to mind! I love having a small spot of color on such a dreary day! I always love spring as it feels like new beginnings. Love the photos and timely information for all gardeners out there.